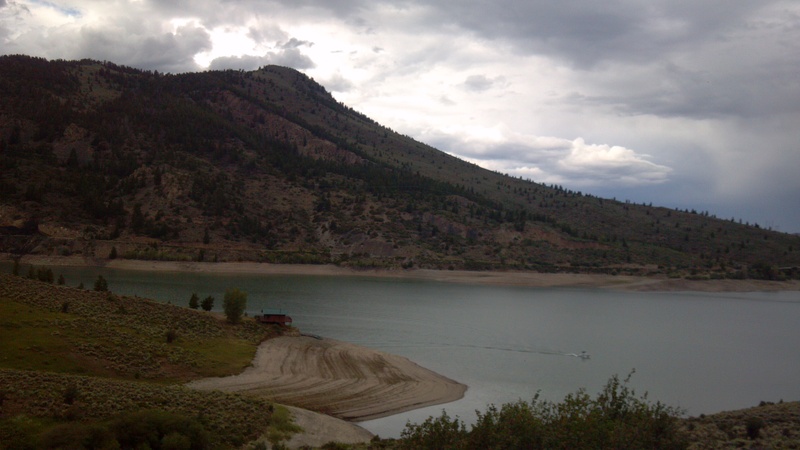 July 16th, 2012: This is Green Mountain Reservoir which is fed by Otter Creek. Perhaps a Vermont native named them! Right before this we were riding on a highway with no shoulder and two identical trucks came terrifyingly close to us on purpose. Right after this there was a torrential rain storm so we rented a cabin on the reservoir.